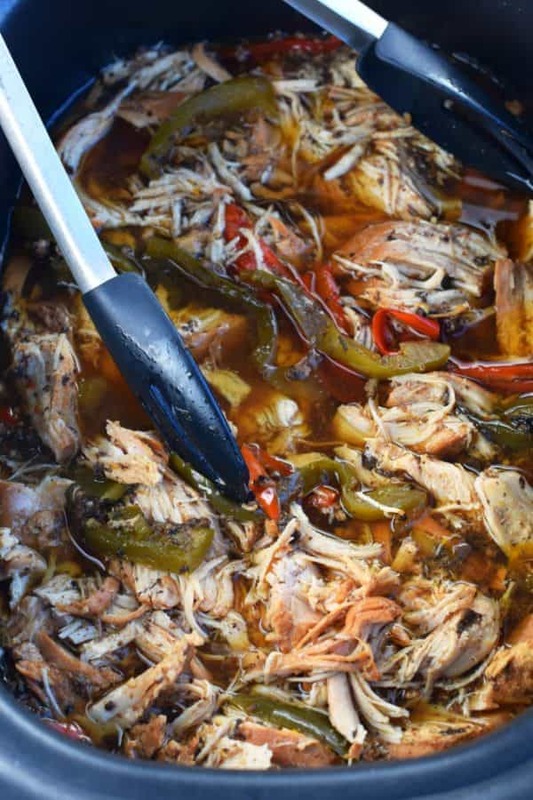 Oh hey, just me again with another recipe for your slow cooker! I’m seriously in love with making dinner in a “fix and forget” it fashion. 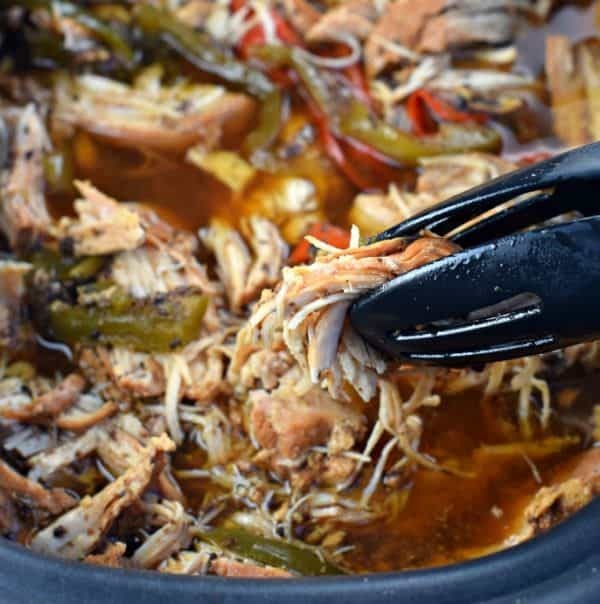 Two of the most popular dinner recipes on my blog are Slow Cooker Balsamic Shredded Beef and Slow Cooker Balsamic Pork Tenderloin. And they are popular for good reason! I’ve heard so many people complain about cooking in the crockpot. They say the meat ends up being flavorless, and it’s like Hamburger Helper…every meal tastes the same. While agree this can happen if you don’t season the meat. But I’ve got a news flash. Today’s recipe is DELICIOUS! 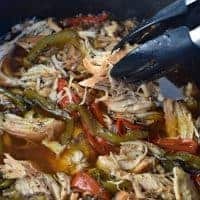 One thing I do that adds a ton of flavor is when cooking with chicken in the crockpot I ALWAYS use chicken thighs. They don’t dry out like chicken breasts do, and they truly absorb the flavor in the best possible way! Today’s Slow Cooker Balsamic Chicken recipe is delicious with a side of potatoes or even some jasmine rice! Just a few minutes prep work and you’ll be enjoying this dinner soon! If you’re looking for more crockpot recipes, my friend Holly took a classic comfort food and made this Crock Pot Chicken and Dumplings recipe! Love her shortcut dumplings! While my husband dislikes mushrooms, I’m drooling over this Crock Pot Chicken Marsala recipe from Brenda!!! No need for separate pans and dishes with this Crockpot Chicken Alfredo Pasta recipe from Chelsea! 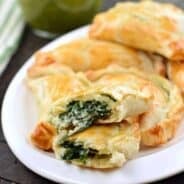 LOVE this easy weeknight meal idea! In the bottom of a large crockpot ( I love my NINJA Slow Cooker), combine the broth, sugar, vinegar, soy, salt, red pepper flakes, and garlic. Whisk together. Add the chicken thighs and sliced vegetables. Cover and cook on low for at least 6 hours. When ready to serve, shred chicken with a fork and enjoy over potatoes or rice! Oooh this looks so juicy and delicious! I was scared of chicken thighs for a while, but now I really enjoy them! 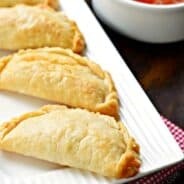 Simple, inexpensive and packed with flavor. 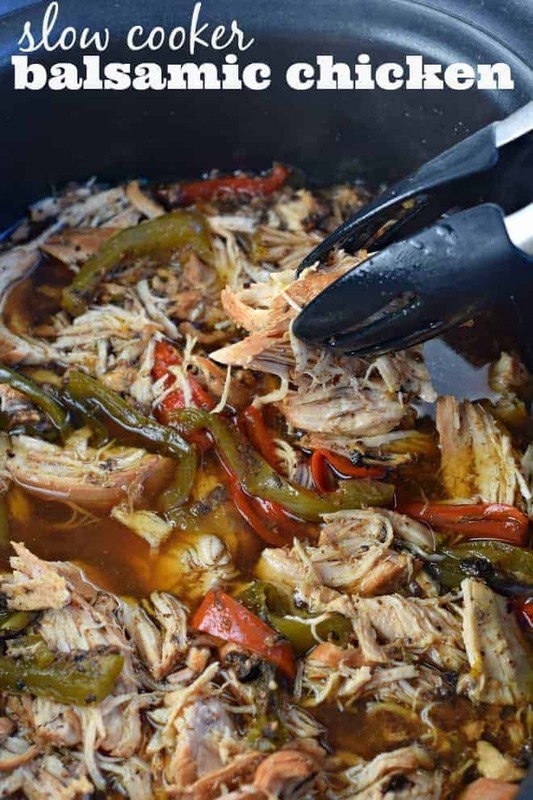 What more could you want from a slow cooker recipe? Thanks for this one…it’ll be on deck when I get home! I need to add this to our menu soon! I know it’ll be a hit at our house! I find more and more that slow cooking is the way to go. 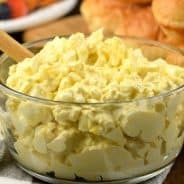 Has any1 actually cooked this recipe? I would like to know if they liked it and would cook it again and again….